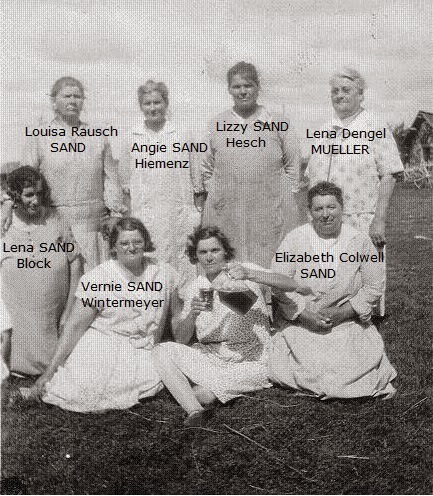 But first, Solving the Sand Mystery: remember the "Eight Women" photo we've puzzled over here on HH? 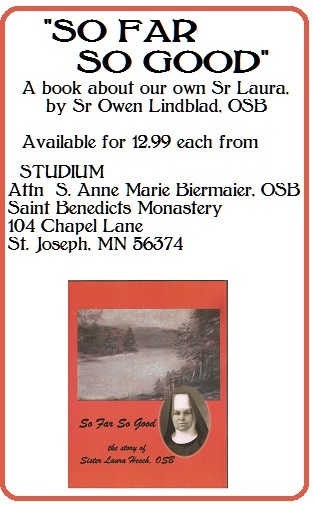 Over time, we figured out who each woman was except for two: the kneeling woman on the left, and the nectar pourer (bottom, with the pitcher). This was 1920, and we think it was probably a Hesch wedding. 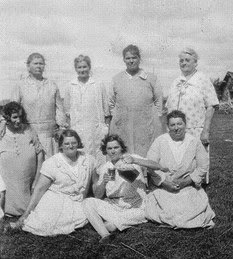 In an exchange of emails, Jenny thought that the kneeling woman on the left was most likely Lena Block--dark hair, possibly pregnant, and one of Louisa's four daughters and a daughter-in-law to work that particular occasion. I think she's right.